Mammoth Mountain, California from Best Places for Spring Skiing in the U.S.
Best Places for Spring Skiing in the U.S.
Mammoth gets lots of snow all winter. The ski season, one of the longest in North America, is open until the end of May 2016. Sometimes it even lasts until July 4. El Nino has made sure that the Sierra Nevada Mountain ski area continues to have a steady amount of snow. The resort is famous for its spring skiing events. Many youngsters go there to celebrate Spring Break. Slope-side barbecues and the traditional Pond Skim, when people use their skis and snowboards to straight-line across a 110-foot pond, are huge attractions. Mammoth is a preferred family destination for spring skiing because of its 3,500 acres of skiable terrain. There is a trail for skiers of all skillsets. Loveland not only opens its ski season early but it also closes it quite late. 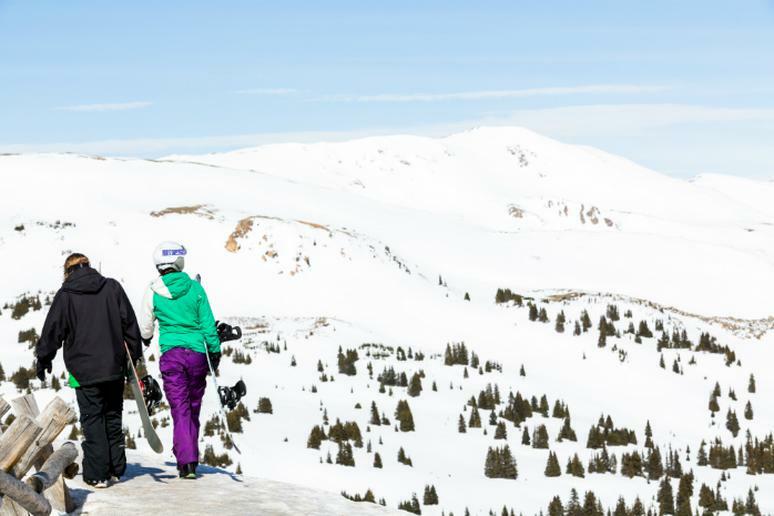 The summit’s altitude of 13,010 feet allows skiers to go down the slopes on plenty of snow until the end of May. Spring time at Loveland features live music every weekend through closing day in addition to plenty of BBQs and on-hill events. A favorite is the Mountain Adventure Scavenger Hunt on April 2, 2016. You’ll spend the day skiing while also chasing chickens, looking for Bigfoot, and trying to solve riddles. 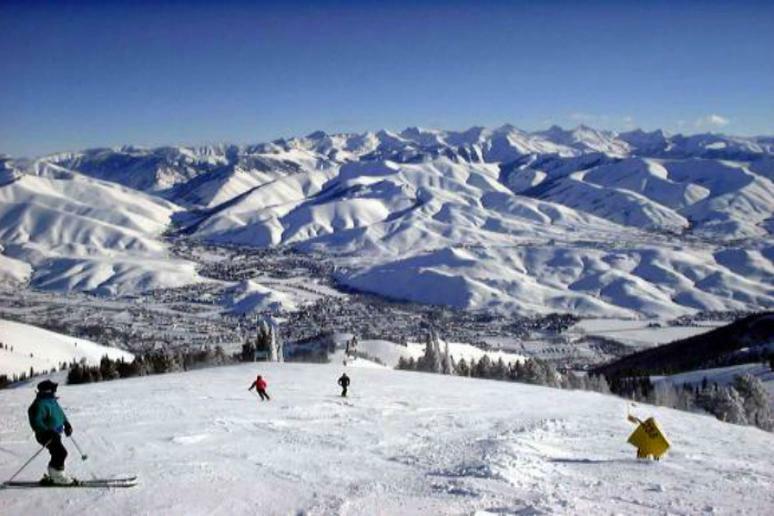 The Jackson Hole ski resort is among the most popular in the country. Its vertical drop of more than 4,000 feet attracts many advanced skiers, especially in the spring. Long approaches, big vertical gains, and encounters with wildlife are what they can expect. They won’t find more challenging terrains that time of year. The ski season in 2016 is scheduled to end on April 1. People are encouraged to wear their most creative costumes on closing day. 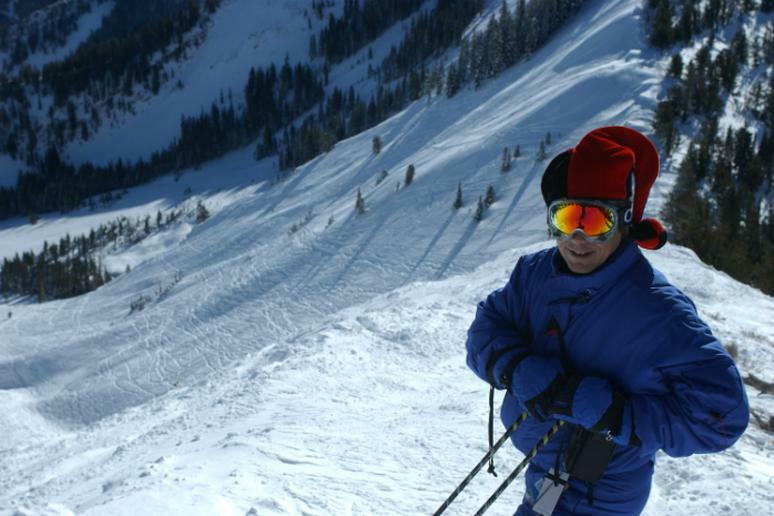 The ski season at Alta is open until April 17. Its high elevations almost guarantee snowfall. Add lots of sunshine and spring skiing becomes absolutely stunning – clear blue sky, sunshine and mountain hills covered in powder looking like brushstrokes. Unfortunately, snowboarding is not allowed. Kids ski for free and adults can choose from several different discounts. Ever wonder what it’d be like to do yoga in the snow? You can find out on April 7. Classes are free. 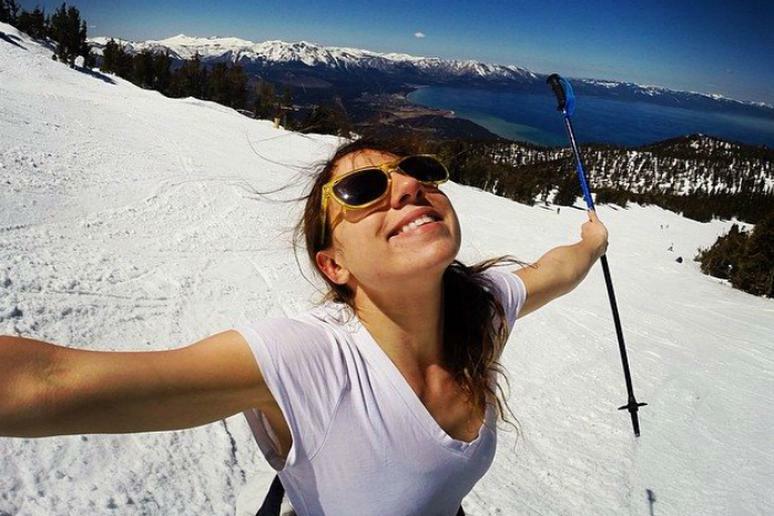 Heavenly Mountain Resort is notorious for sunny skiing in T-shirts. 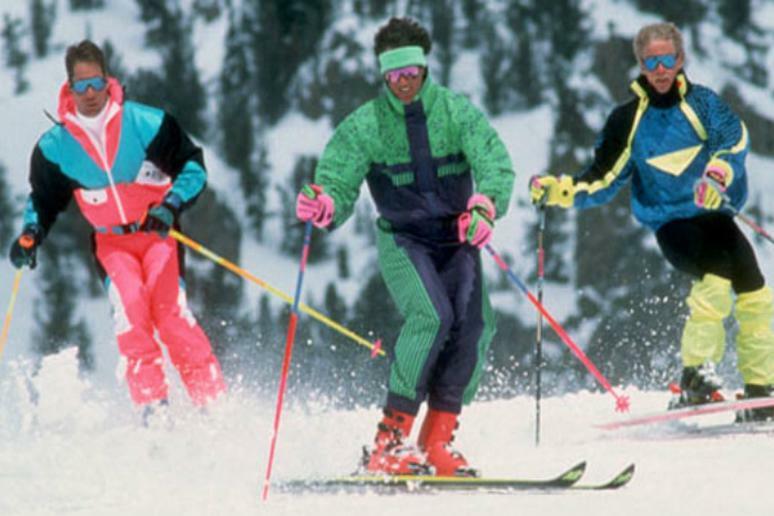 You can even ski in a swimsuit if you dare. No one will stop you. Partying in the mountains doesn’t get much better than in South Lake Tahoe. The season is open until mid-April. Royal Gorge, Lake Tahoe's cross-country ski resort and the largest Nordic ski area in the country, offers great discounts. Prices usually drop by a third. Spring Loaded, an event loaded with non-stop parties, live entertainment, and competitions keep visitors busy all day. 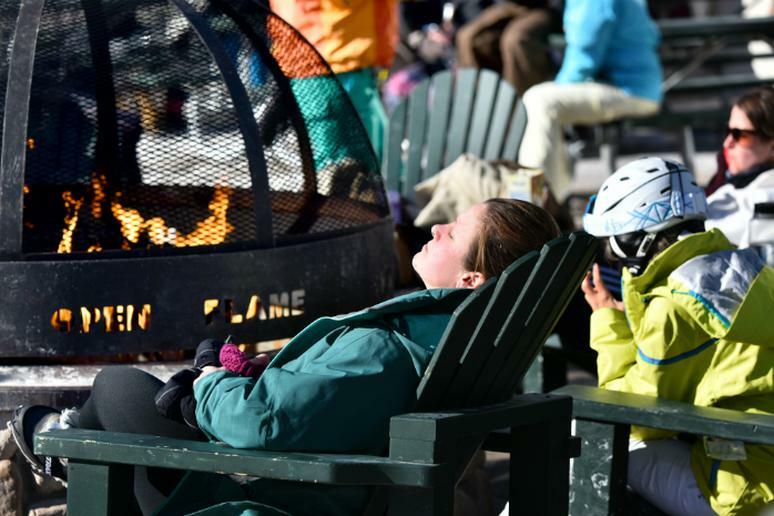 Breckenridge is not the most famous resort in the state, but it is among avid skiers. It’s staying open until April 24. The resort’s 150 runs and the highest chairlift in the country are just part of the long list of attractions. Many people go there for the nightlife, clubs, fine dining and recreation center. Visiting Jackson Hole in the spring is best during the Rendezvous fiesta – a 4-day lifestyle and music festival between March 17 -20, 2016. There, you can enjoy a mix of Americana, rock, and country music. There usually is a poker tournament and, of course, lots and lots of ski activities. Alyeska Resort is Alaska's premier ski destination. It’s far away for most people, which guarantees no crowds. The mountain gets about 650 inches of average annual snowfall, keeping the ski season open until mid-April. You can choose from 68 runs, most for intermediate-level skiers. The lifts are open late until 6 p.m., and night skiing is allowed until March 26. Spring skiing in Alyeska is very popular with locals, heli & snowcat skiing guests and other avid skiers. The ski season at Loon Mountain is open until April 19. 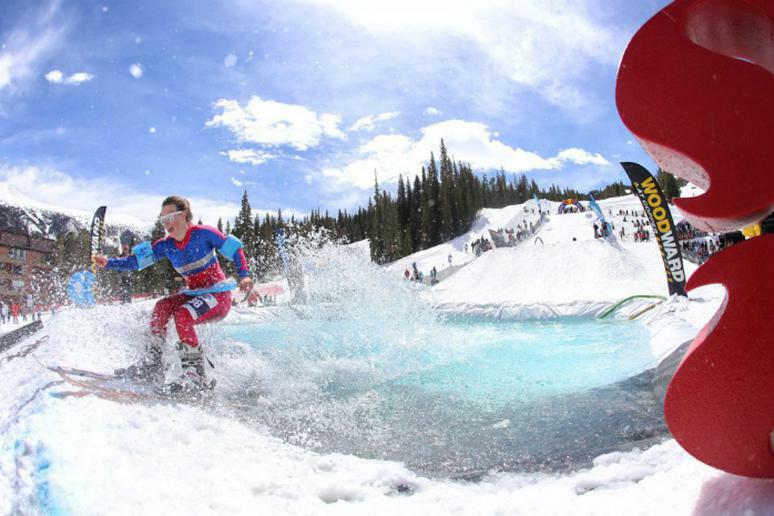 One of the best spring events there is the Slushpool Party, a tradition where skiers and riders try — but mostly fail — to glide across a pond of ice-cold water. Another fun event is the 80’s day, an opportunity to show off your big hair and daring fashion choices. The Street Cred is the last major event on the calendar. It’s a paradise for snowboarders — a full urban landscape of rails, concrete ledges, stop signs, and even a fried dough cart. 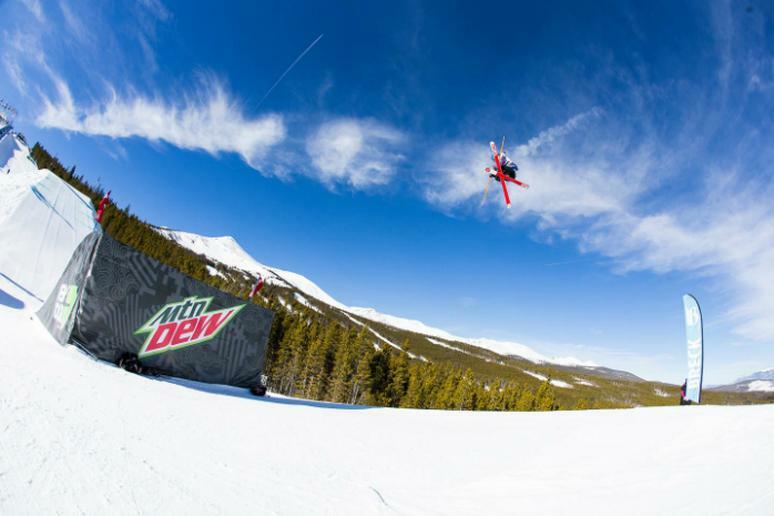 If you’re not yet ready to give up on skiing this season, head out to Aspen and Snowmass Village for the Spring Jam, the premier spring festival in the Rocky Mountains, which is scheduled for March 12-28, 2016. Imagine nice weather, on-hill events and fun après-skiing entertainment — concerts, races, and non-stop parties. 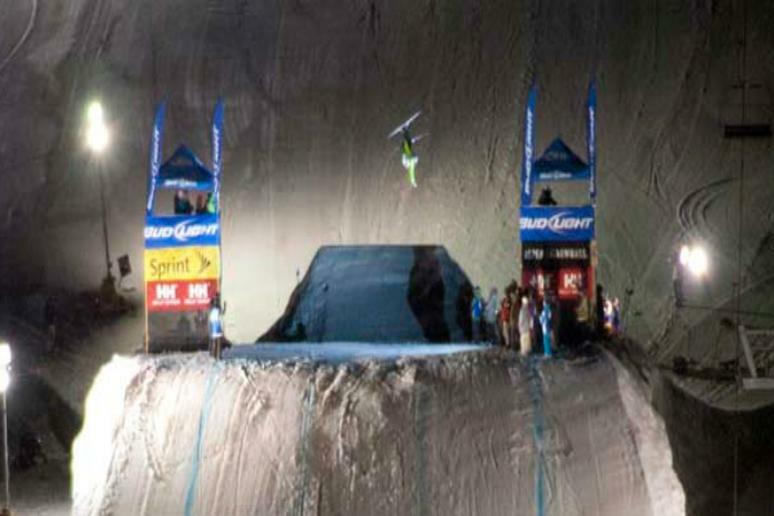 This will be the third time the Banked Slalom snowboard race at Buttermilk takes place and the 17th year of the KickAspen Big Air, which is a one-night competition full of action as 20 skiers and 20 snowboarders compete. 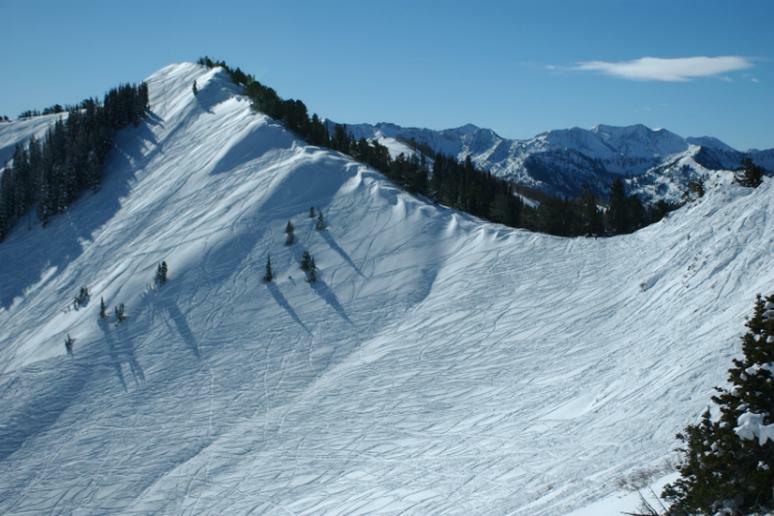 Snowbird closes on May 10. The mountain gets more than 500 inches of snow each season so ideal skiing conditions last for a long time. The view coming down at sunset is amazing. 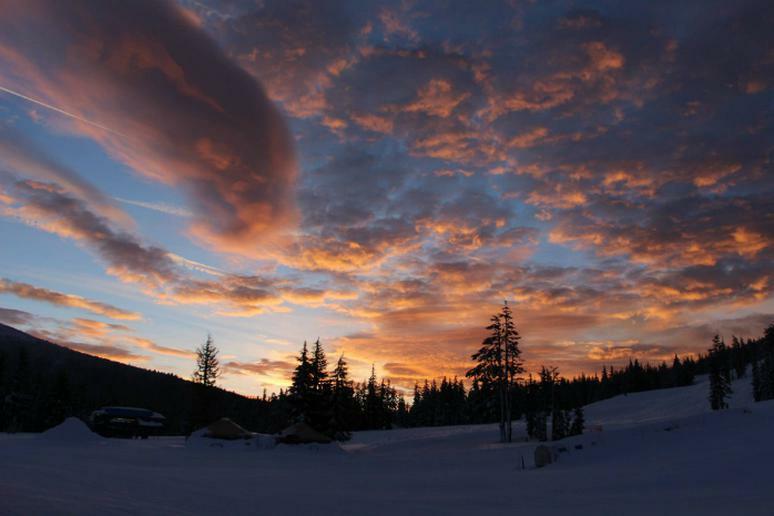 The resort offers many activities including avalanche training, fly-fishing and a backcountry skills seminar. Can you imagine having better skiing conditions in April than in December? Mount Bachelor offers them. The winds are too strong in the winter and many of the runs are closed. The ski season this year is open until mid-May. The conditions in the spring are ideal; the runs are wide and beautiful. You can go biking or golfing if you need a break from the skis. Mark the end of the season with the Brewski Beer Fest. Pond skimming at Mt. Bachelor on closing weekend is a must-see. 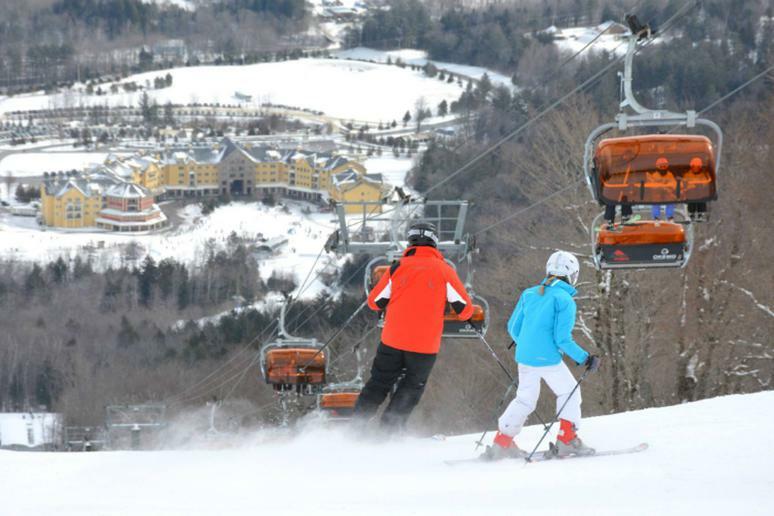 Okemo is perfect for people who want to go skiing but are on a tight budget. Kids under 6 always ride for free and the first hour of opening is also free of charge. The season this year ends on April 12 so you still have some time to sample the terrain. You can buy a Spring Skiesta Card online and skiing all you want from March 18 through the end of the season. The resort is scheduled to stay open until April 10. 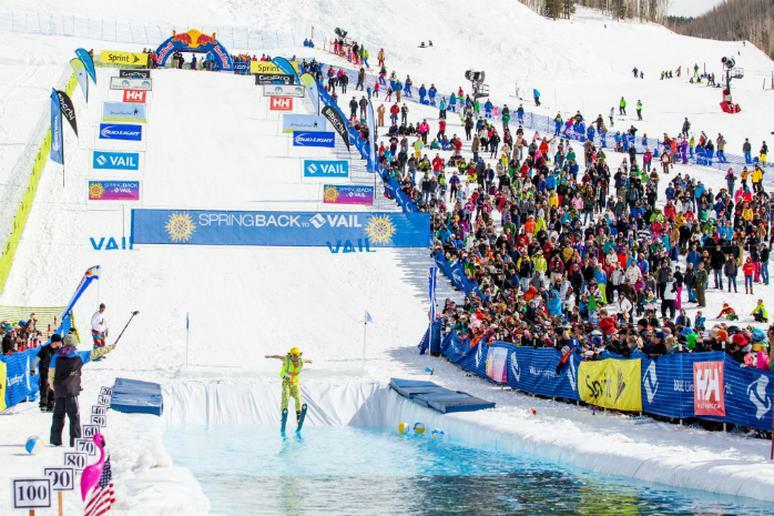 Spring Back to Vail, the annual spring bash celebrating the close of the winter season, returns to Vail for its 13th year. The weekend is jam-packed with events including the World Pond Skimming Championships, live music, sponsor Expo Village, après parties, and gear giveaways. If you still haven’t gotten a chance to go on a family ski vacation, you have until April 17 to book a trip to Park City Mountain Resort. 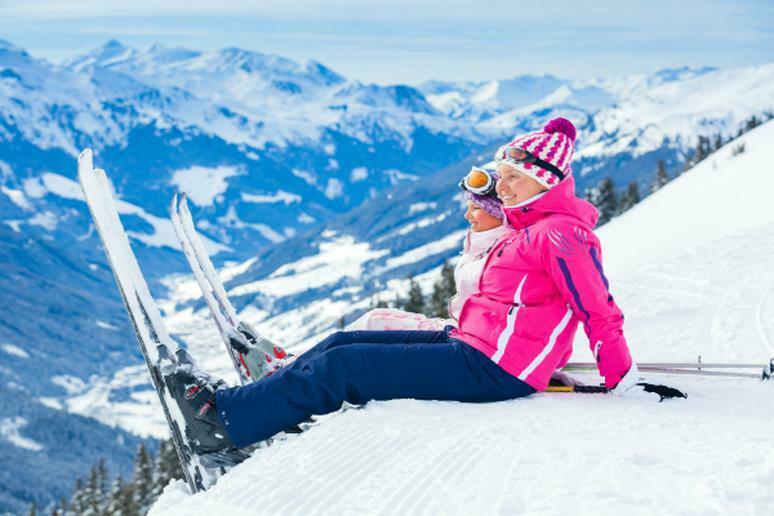 Kids ski schools are highly regarded; there is a lot of indoor entertainment while parents are on their runs; and the snow conditions are soft in the spring. A lot of the action is happening off the hills. The resort is its own little village with shops, eateries, pubs, and live music all over. Spring Gruv is March 12-27. That festival brings the best wild costumes and musical guests. The ski season at Sun Valley is open until April 4. Close it down properly by going there for the 2016 Nature Valley U.S. Alpine Championships scheduled for March 22-27. 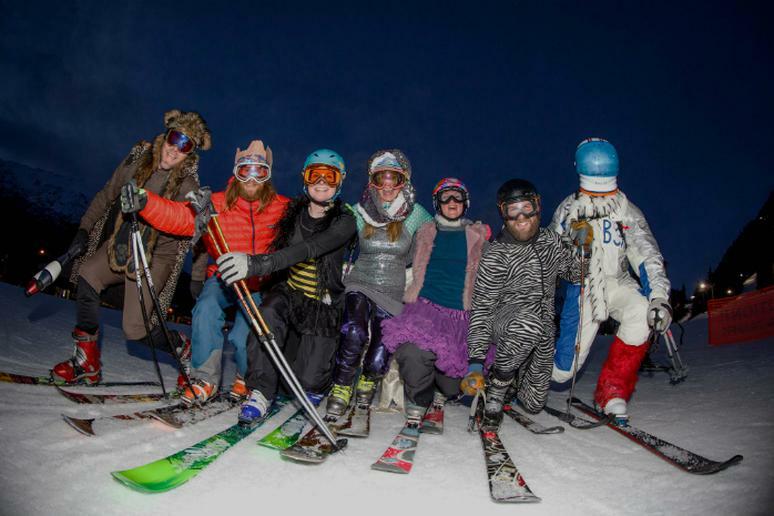 It is a celebration of mountain culture with ski races, après parties, and concerts at America’s first ski resort. You can do all of that while taking a break from exploring more than 3,400 vertical feet and more than 2,000 acres of varied terrain.